As of May this year, New Zealanders had amassed a collective credit card debt of $5.8 billion, up 4.9 percent compared with the previous May. With the average credit card bill around $3600 and the average interest rate sitting at 17.3 percent, Kiwis are spending a significant portion of their monthly budget making credit card repayments. In fact, using a minimum repayment rate of just 3 percent a month, it would take the average Kiwi a staggering 14 years to get back in the black. The Otago region experienced strong growth during the recent school holidays according to Paymark, with 9.4 percent spending growth over two weeks partly due to visitors from Auckland and Wellington. Spending was also up in the Bay of Plenty and Southland, with an annual increase of 6.7 percent and 11 percent respectively. The weakest results came from Wellington with 2.7 percent spending growth, Palmerston North with 2.8 percent, and South Canterbury with -0.3 percent. According to Paymark head of customer relations Mark Spicer, "During the same two weeks of trading when Otago experienced this significant jump, Auckland/Northland and Wellington saw a significant decrease in spending compared to previous years... While this doesn't explain the entire picture it's safe to assume that many North Islanders ventured south to Queenstown and scenic Otago." According to figures from Paymark, food and liquor stores had the highest annual spending growth at 11.6 percent, followed by cafes and restaurants at 11.2 percent and accommodation providers with a 9.7 percent increase. Card spending also increased in clothing outlets, footwear stores, appliance outlets, and department stores compared to the year before. While card spending was up on an annual basis, however, overall spending growth through Paymark has slowed from the 9.2 percent growth recorded in July last year. In fact, recent figures from Statistics New Zealand show flat credit card spending in July compared to June, with low monthly figures likely to chip away at annual spending growth if the trend continues. 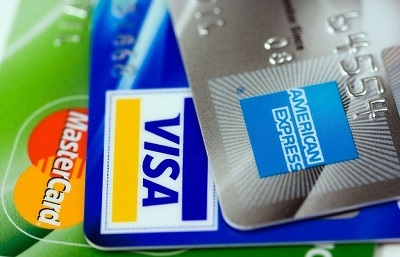 Total credit card spending, including non-retail industries, declined 0.1 percent month-over-month in July following a 0.5 percent rise in June. Among the sub-categories of retail spending, credit card spending on durables increased by 0.9 percent, spending on consumables rose 0.3 percent, and spending on fuel fell 0.6 percent. "Spending rose in three retail industries and fell in three during July," said Neil Kelly, business indicators manager at Statistics New Zealand, adding "Durables and consumables had the largest rises, while both vehicle-related industries fell."